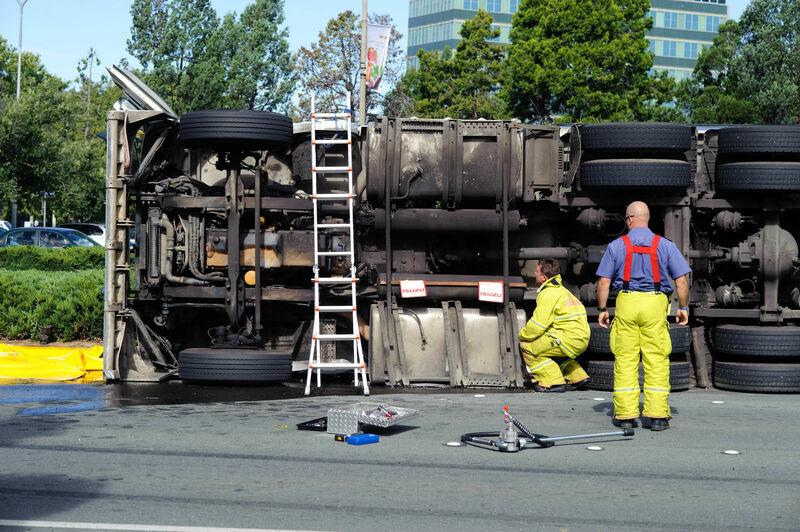 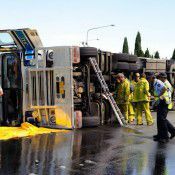 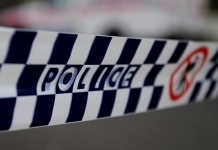 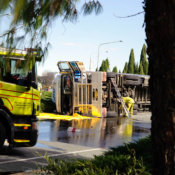 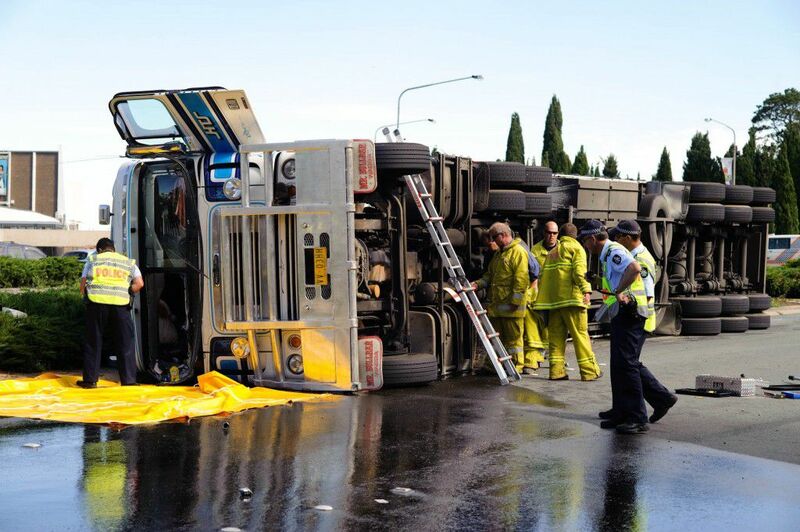 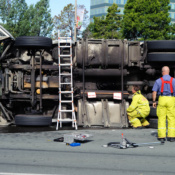 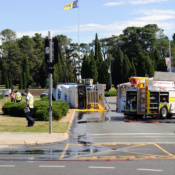 Northbourne Avenue is closed in both directions near Vernon Circle due to a truck roll-over onto a car. 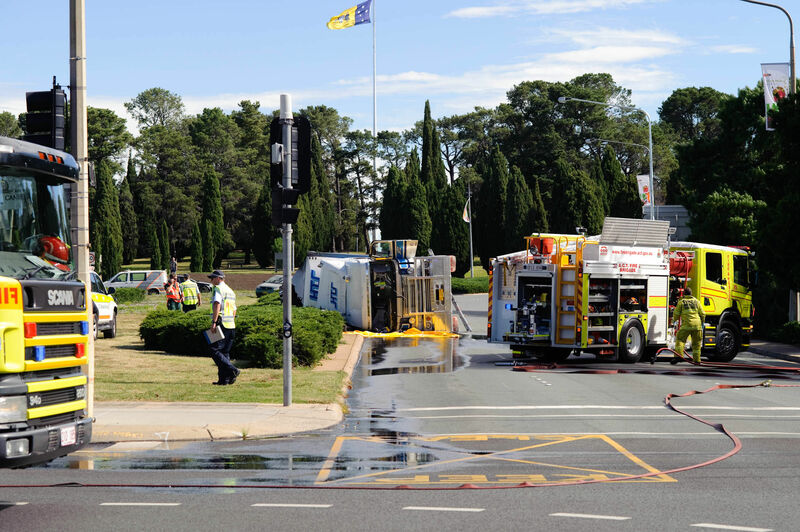 Our photographer Silas Brown was at the scene, where oil is flowing onto the street, but drivers should avoid the area. 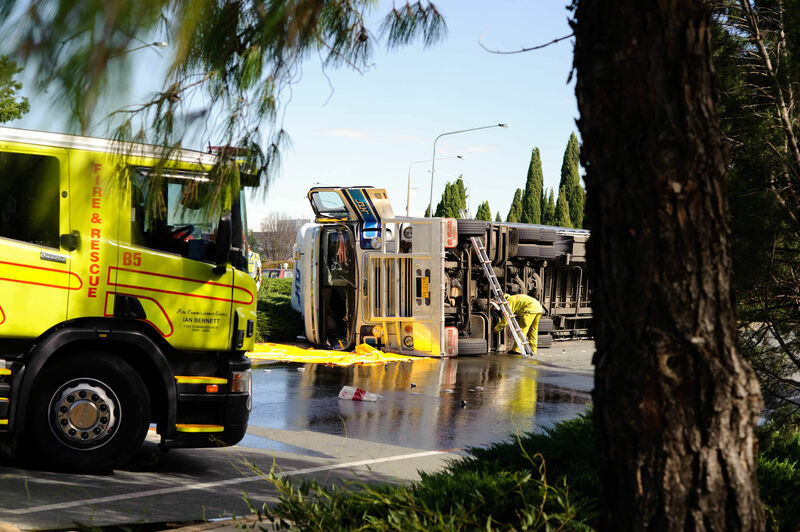 2CC report that north bound traffic on Northbourne Ave are diverted via Parkes Way, but south bound traffic is not affected.